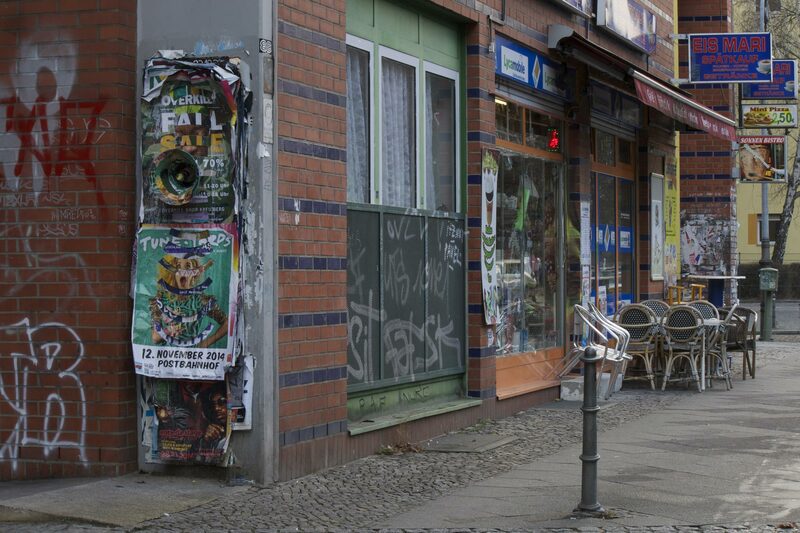 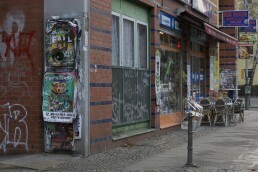 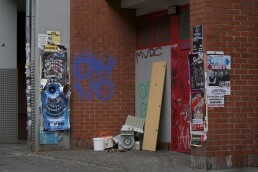 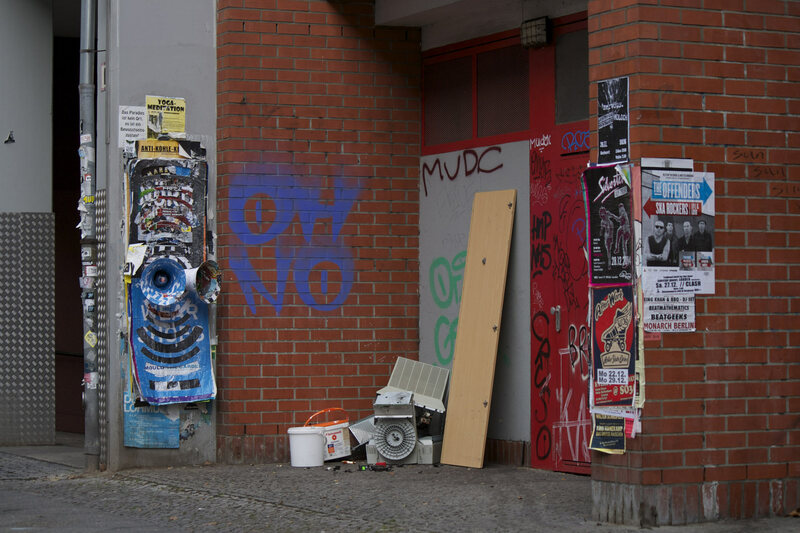 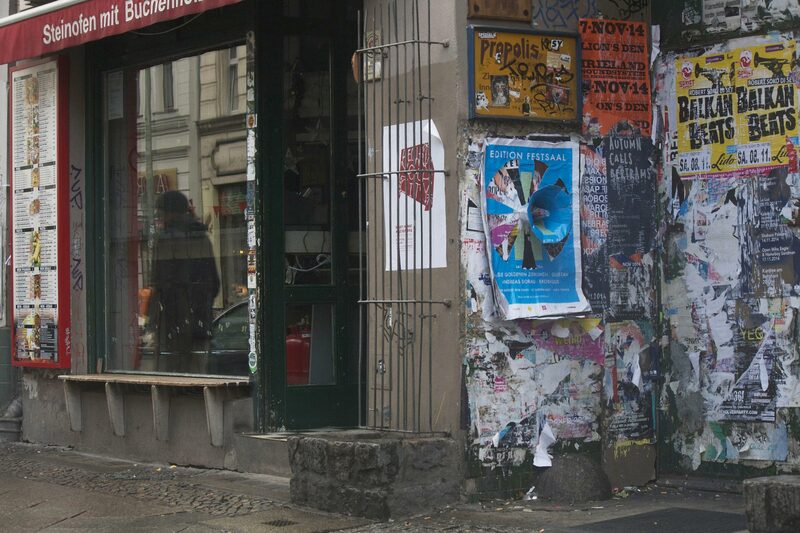 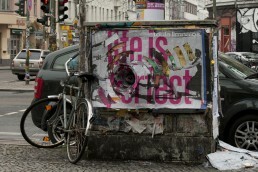 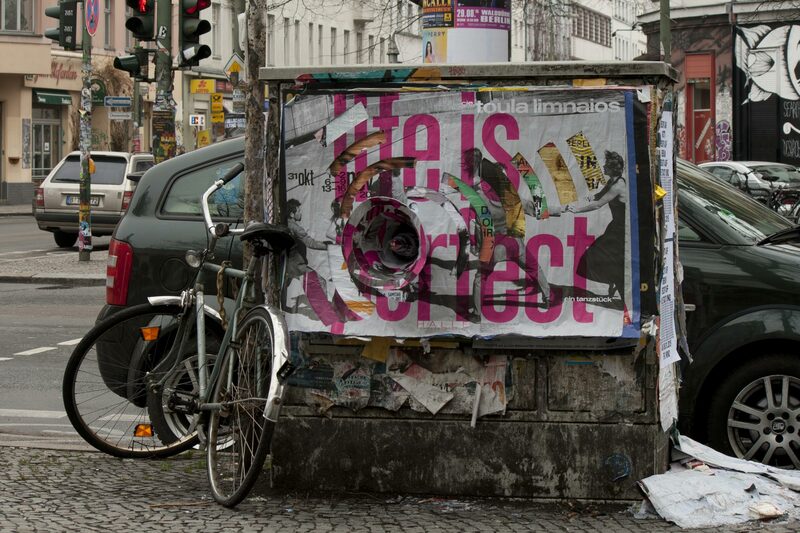 In Berlin, many exterior surfaces are covered with street posters and graffiti. 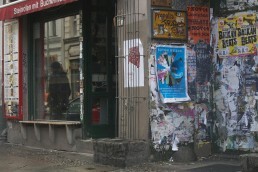 New imagery/information appears daily with each new poster. 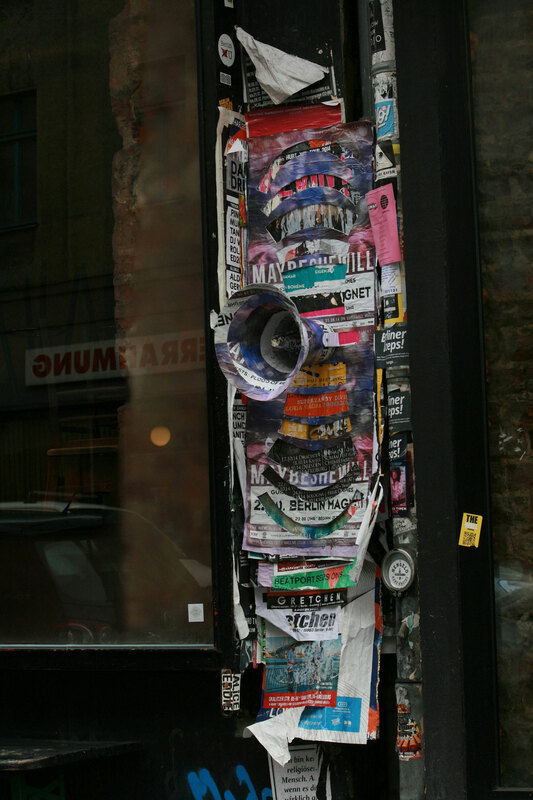 But, instead of being removed and refreshed, new posters are plastered onto the previous ones, building up overtime like vertical sediment. 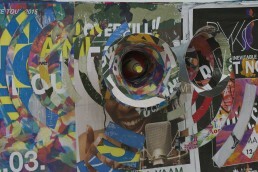 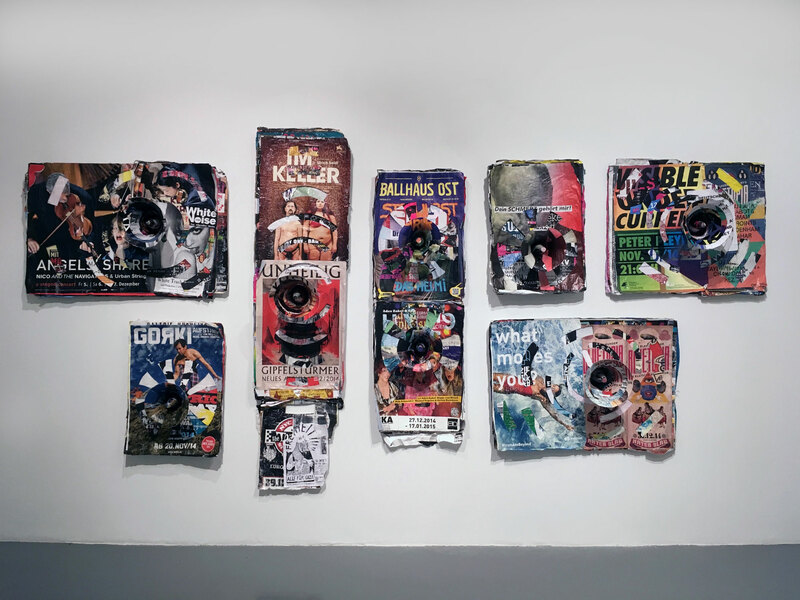 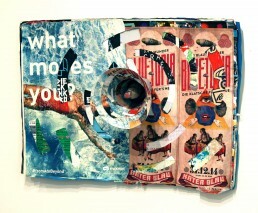 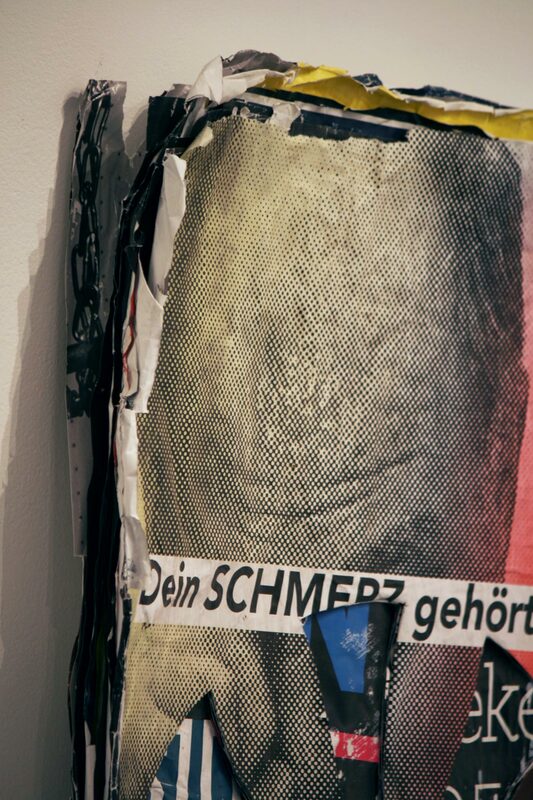 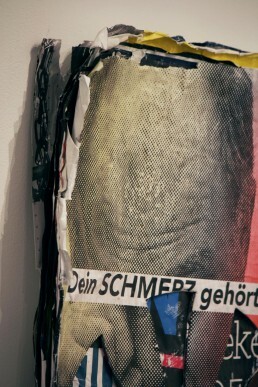 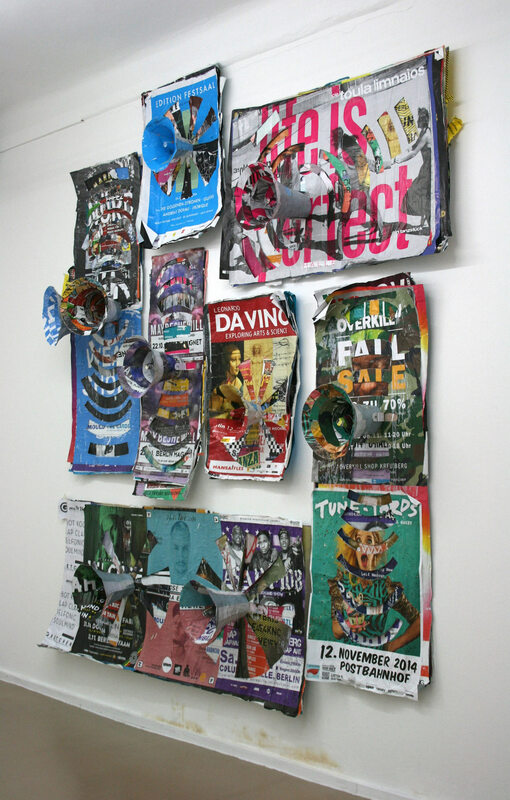 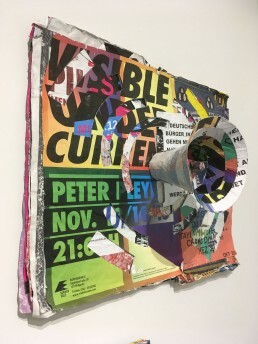 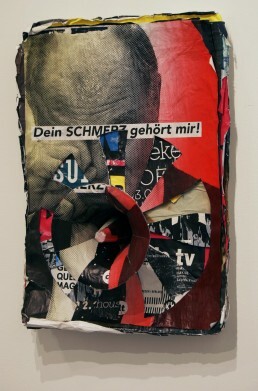 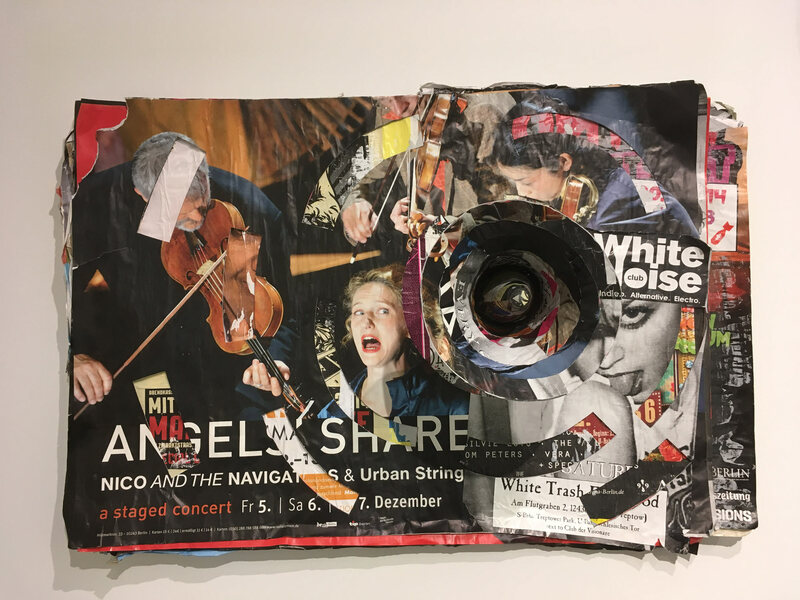 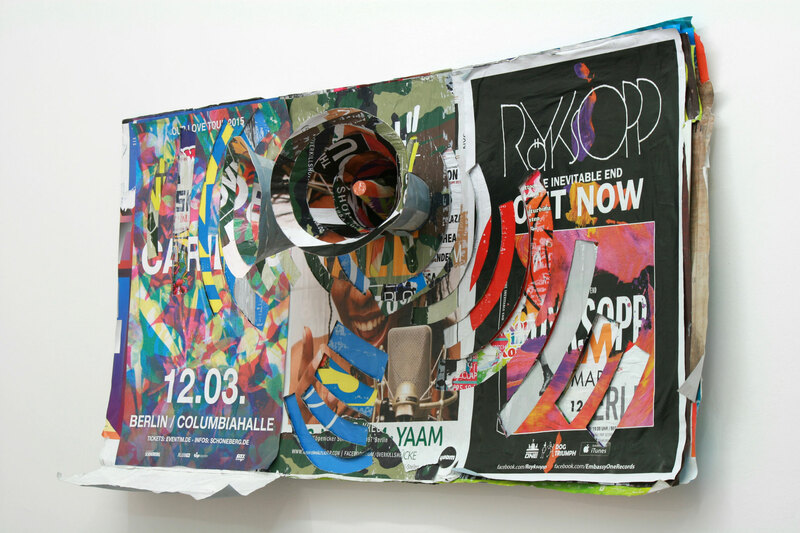 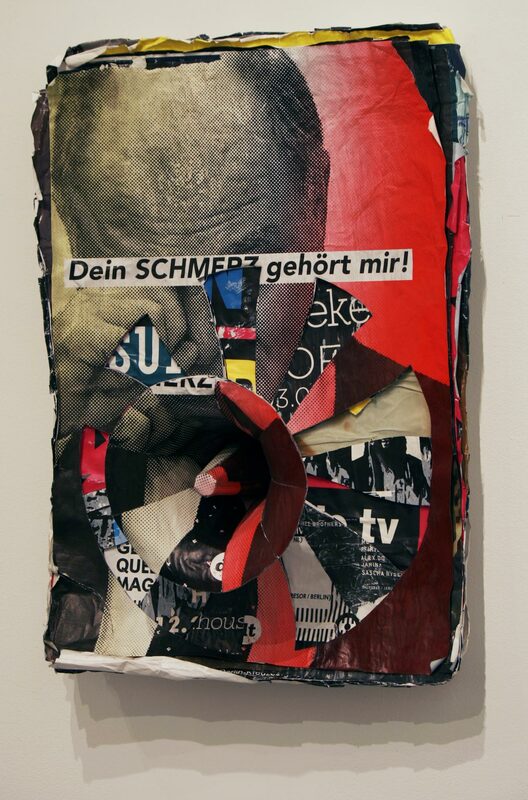 From the layers of accrued posters, material is cut to form loudspeaker forms. The cone shaped speakers project out from their posters of origin emphasizing both the function and history present in the stacks peeled away from their original context while creating new dialogs through unearthing previous layers. 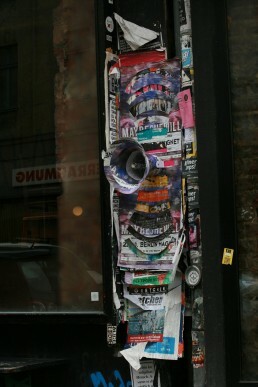 Many of the poster/speakers were returned to the place from which the posters were originally removed and then photographed in place, living on in photographic form.